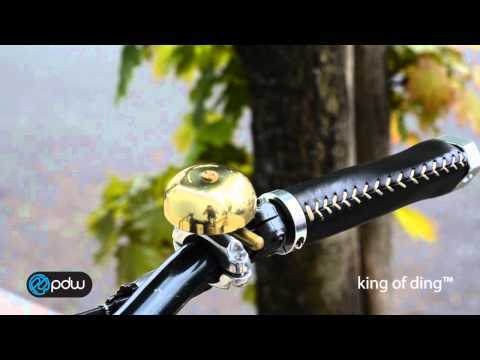 This beautiful bell lets you politely but firmly alert pedestrians to your presence. The brass is more durable than stamped steel and adds a bit of Portland craft to your bike. Bell and posts are brass. Ringer is steel. An actuator prevents unwanted noise when traversing rough terrain.